SPROULE (Sprowle), GEORGE, army officer, surveyor, office holder, and politician; b. c. 1743 in Athlone (Republic of Ireland), eldest son of Adam Sproule and Prudence Lloyd; d. 30 Nov. 1817 in Fredericton, N.B. George Sproule was born into a military family. After receiving his early education in Athlone and nearby Dublin, he joined the British army in 1762 as an ensign in the 121st Foot and trained as a surveyor and engineer. He eventually attained the rank of captain and was referred to by that title until his death. Of the five children known to have been born to Sproule and his wife Alicia, two sons followed their father into the army and two of his three daughters married military officers. Sproule’s major achievements were in the field of surveying. 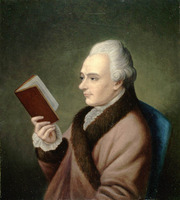 In 1766, while stationed at Louisbourg, N.S., with the 59th Foot (to which he had transferred the previous year), he was added to the staff of the noted surveyor Captain Samuel Johannes Holland, who described him as “very fit in Knowledge and Constitution for this Business.” At that time Joseph Frederick Wallet DesBarres*, James Cook*, and Holland were all busy conducting extensive surveys of the Atlantic coastal region for the British government. In 1766 and 1767 Sproule worked with Holland on Cape Breton Island, and then joined with Thomas Wright and others in mapping the shores of the lower St Lawrence. Anticosti Island and a stretch of the Labrador coast were also surveyed. In 1770 Sproule was in the party that surveyed the eastern New England coast in conjunction with work being done by DesBarres. His surveying and mapping efforts were eventually incorporated into DesBarres’s famous compilation The Atlantic Neptune . . . (2v., London, 1777-). Engaged from 1772 in the first thorough survey of New Hampshire’s boundaries, Sproule was two years later appointed surveyor general of that colony, a post he held until the American Revolutionary War broke out. Although he had obtained permission to retire from the army in order to establish his family permanently in New Hampshire, at the commencement of hostilities he returned to active service as a lieutenant in the 16th Foot. Having joined the British army in Boston, Mass., he was immediately named an assistant field engineer. On 9 June 1781 he purchased a captaincy in the 16th, “observing but little probability of being restored to his appointment and property in New Hampshire.” The following year his lands there were confiscated by the state. At the end of the war Sproule found himself in a difficult situation: not only had he lost both position and property, but he faced the prospect of reduction on half pay. “Justice to his Family” prompted him to sell his company, though he could get only half the price for it that he might have obtained during the war. In memorials to the loyalist claims commission he estimated that his total losses as a result of the revolution exceeded £2,300. In compensation, and as a reward for his military service and his surveying work, he was appointed on 2 Sept. 1784 surveyor general of the recently established colony of New Brunswick at a salary of £150 per annum. In the spring of 1785 Sproule energetically took up his new post, which he would hold until his death. He was a significant figure in the province’s administrative history because he established the Surveyor General’s Office, created and maintained essential land records, and in so doing offered a high degree of stability for new settlers during a particularly turbulent time. On his arrival he found matters “in a very perplexed state”: earlier surveys had to be corrected and descriptions of grants regularized. He had also to organize his staff, establish guidelines for their activities, and develop procedures for the maintenance of adequate records. A large number of deputy surveyors were appointed, among them Israel Perley and Abraham Iredell, and under Sproule’s supervision they undertook the immense task of surveying land for some 12,000 loyalist refugees. Sproule, who insisted on high standards and did much to improve surveying techniques, was also responsible for laying out roads and reserves and for establishing parish and county boundary lines. Provincial boundaries were a matter of concern as well. In 1787 Lieutenant Governor Thomas Carleton asked Sproule to meet with Hugh Finlay of Quebec to discuss the conflicting claims of the two colonies to the Madawaska region, a dispute that was eventually settled in New Brunswick’s favour. That same year Sproule laid out lots for the Acadians who had settled in this region [see Louis Mercure]. In 1795 he acted as a surveyor and map-maker in the efforts to determine the Maine–New Brunswick boundary, and three years later he combined the results of surveys done by Dugald Campbell, Thomas Wright, and others into one general map for the use of the commissioners. Sproule – “that correct, faithful & devoted officer,” as Edward Winslow described him – was one of New Brunswick’s most influential and active government officials during the first decades after the creation of the new province. Not only did he carry out his surveying assignments in an efficient manner, but he further assisted the government by interesting himself in public works. He was frequently involved in the construction of roads and bridges, and he helped erect the new House of Assembly building and the Surveyor General’s Office. 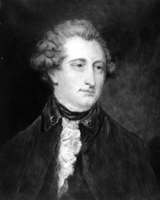 In 1805 he took on the added responsibility of acting as the province’s receiver general and in September 1808 he was appointed a member of the Council. He was also regularly involved with the military establishment in Fredericton, where he served as keeper of the military stores. A member of the Church of England, he acted as a churchwarden and vestryman. George Sproule’s long, distinguished career as a surveyor, soldier, and administrator deserves recognition. To New Brunswick he brought valuable experience and a capacity for leadership that greatly helped the young province during its early stages of development. He served as surveyor general for 33 years; the office was to change hands nine times in the three decades after his death in 1817. Anglican Church of Canada, Diocese of Fredericton Arch., Christ Church (Fredericton), minutes, 1793–1818 (mfm. at PANB). Old Burying Ground (Fredericton), George and Alicia Sproule, tombstone. PANB, RG 2, RS6, 1: 283; 2:13; RG 7, RS75, George Sproule, 1817. PRO, AO 12/100: 300; AO 13, bundles 52–53, 79; CO 188/4: 46; 188/15: 74; 188/23: 30–31. Royal Irish Academy (Dublin), Upton papers, no.7, “The Sproules since 1669” (typescript). [S. J. Holland], Holland’s description of Cape Breton Island and other documents, comp. D. C. Harvey (Halifax, 1935). Royal commission on American loyalists (Coke and Egerton). Winslow papers (Raymond), 461, 514. G.B., WO, Army list, 1762–81. MacNutt, New Brunswick, 80–81, 119–20. Murdoch, Hist. of N.S., 2: 128. E. S. Stackpole, History of New Hampshire (4v., New York, (1916]), 2: 64–65. D. W. Thomson, Men and meridians: the history of surveying and mapping in Canada (3v., Ottawa, 1966–69), 1: 105, 112, 141. Robert Fellows, “The loyalists and land settlement in New Brunswick, 1783–1790: a study in colonial administration,” Canadian Archivist ([Calgary]), 2 (1970–74), no.2: 5–15. Robert Fellows, “SPROULE, GEORGE,” in Dictionary of Canadian Biography, vol. 5, University of Toronto/Université Laval, 2003–, accessed April 24, 2019, http://www.biographi.ca/en/bio/sproule_george_5E.html.